All education should primarily lead to upliftment of human beings. Education stems from two basic roots namely (a) Attainment of knowledge and (b) Proper utilization of that knowledge. The former again depends on (i) The ability of the individual- which in turn rests upon the mental faculty he/she possesses at birth and (ii) The interest one develops during the course of his journey in life. The latter could again be either transient or progressive and lasting. Somewhere hidden in ones interest being constructive and long lasting is an inert force known as Talent. It would immediately be apparent that this force is so strong and benign that when it is exhibited and harmonized in a practical mode, optimal contentment and satisfaction is reached. This is known as ‘Manushya Nama Anandam’ and forms the first of the eleven Anandams that lead to Bramhanandam. Knowledge by itself may be good or bad. This very function of relativity in its applicability to living and non- living beings makes it so vast that one rightly feels its complete attainment is a stupendous task. This inherent quality in acquiring knowledge makes the fulfillment of (b) i.e. the proper utilization of knowledge a difficult task indeed. Surely, the human brain is roaming in an ocean of knowledge without knowing where the destination is. This process eats up a high percentage of the human resources that one possesses, and leaves him/her null and void at the end of the day. Should then we not acquire any knowledge? This unfortunately is out of people's scope, as the human mind even in its most deformed state at birth, as per medical terms, thirsts for the attainment of that complete knowledge which is so difficult to attain. 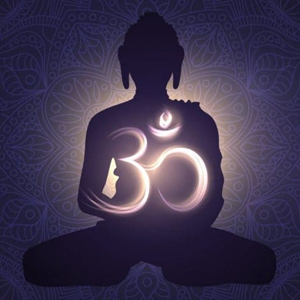 The MIND is known as MANN in Sanskrit, which means Ego. The reverse of Mann is Namm which term is a yoga used in Hindu rituals to automatically remove that stressful ego and enable us to tread a more constructive journey in life. This realization of inability to attainment of total knowledge has dawned on the Human race, though belatedly and given rise to what is today so explosively termed as Expertise. This term is just like the Wolf that termed the Grapes as Sour, as it was not able to attain them—in this case the attainment of total knowledge. When viewed from Man made functionaries, Expertise may seem to a certain extent appropriate; but not so if applied to Human Beings, which works holistically and must be so analysed. No wonder Expertise in a particular medical field has left the Medical doctors roaming wild and leaving the poor patient stranded not knowing where he has to go to find the real cause of his distress within his system. Acquirement of knowledge falls into two categories, namely Sruthi and Smrithi. While Sruthi literally means, “what is heard”, Smrithi denotes “what is remembered”. The laws and byelaws for social upliftment are Smrithis. The principals enumerated by Parasara, Manu, Bhaskara and Jaimini are some Smrithis which form the basis to formulate fruitful and constructive modes to better living. It may be mentioned that every thing that is heard need not necessarily be remembered. 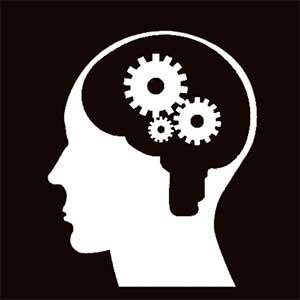 In fact only those items that have a deep internal effect upon the individual is carried to the Human memory plane. All students hear from the same teacher; but some remember more than the others! Obviously, the inert field of talent one possesses has a large part to play in this vital function. On the other hand the sound vibrations that one hears, affect the system directly and cause divertive motions within the human body. These may be negative, transient or positive. Their reaction on the human breathing system is extensive and is many times a cause for improper and unstable functioning of an individual. The harmonization of Sruthi and Smrithi leads to inner satisfaction and contentment and optimal utilization of human energy. The daily cycle of life is an apt exposition of the working of the human system, which had been so well propagated by our erstwhile SAGES. These are ‘Dwaitha’ by Madhwacharya, ‘Vishishta Adwaitha’ by Ramunaja and ‘Adwaitha’ by Shankara. When the Sun rises Dwaitha or duality comes into play. Each individual feels that the other is different to what he is and therefore the world is immersed into an ocean of competitiveness, selfishness and hatred. As the evening sets, the tired body seeks refuge but the Mind has yet not relented. The body is traveling through semi sleep or dream state. This may be termed as ‘Krishna Vishista Adwaitha’. In this period, the Mind wanders into the happenings of the day, tries to analyze it, relative to past conducts and in the process draws conclusions which may elate or depress one's feelings. In both cases it leads to large-scale loss of ones energy resources. The Mind thereby also tires and seeks revitalization in deep sleep. The human being is running through a state known as ‘Adwaitha’- the feeling of oneness within oneself and with the world. In this state the human body revives its lost energy, conserves and optimizes utilization of its energy resources. Clearly good sleep is an indication of vitality in health. From this state, one again reaches a semi wake or dream position. In this state the body with its high available energy resources feels confident to take up any task whatsoever. This can be termed as ‘Shukla Vishishta Adwaitha’. 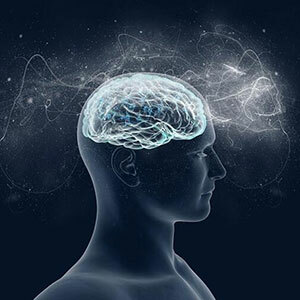 The dreams during this state are said to come true and verily so, as the body has emerged from the most optimal stage of available energy resources. Ones it wakes up it again falls into the Dwaitha or Duality state and the cycle continues. This cycle clearly indicates the need for proper remodulation of energy resources for integration of the Jivathma and Parmathma or in other words attaining lasting Bliss. The above elaborate exposition of acquirement of knowledge, its proper utilization keeping in view the ultimate constructive target of attainment of steadfast happiness - known as Education and the process of remodulation of available Human resources indicated by ones horoscope, to attain the same, is to enable stringent astrologers, the path they should adopt to guide the public in this most important sphere to harmonious living. 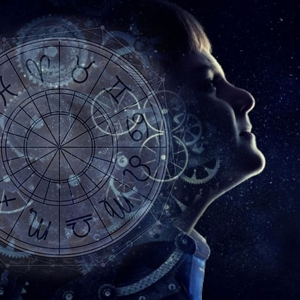 Let us analyze a few horoscopes to clear the above points:-	(a) The boy was born on 20 2 1974 at New Delhi Clearly the aspect of Jupiter and Mars aspect on the fifth house, Mercury (the lord of the sixth) alongwith Jupiter in the 11th House, indicate that the literary studies lead to electrical engineering. The above in collusion with Moon and Venus in the 10th, give an inclination towards electronic engineering and management in financial fields. The aspect of Saturn –the lord of the 10th and the 11th houses together with Mars’s –the lagnadhipathi , upon the 5th ensures ample remuneration from these literary qualifications obtained by him. 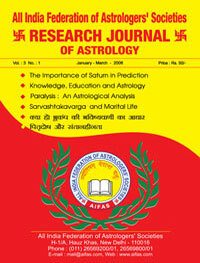 However, the constellation in which the Lagnadhipathi is travelling being Ketu who is conjoined with Saturn-the lord of the 10th and the 11th and aspected by Jupiter upon the 3rd house, clearly indicates that ultimate satisfaction and contentment would arise only from in depth studies in the spiritual field. Even Jyothism cannot be ruled out-but it would not primarily be for commercial purposes. Though, this is inert within the boy, it will surface only around the mid forties when Saturn dasa starts. Moreover, it will carry the full support of his wife, who will work directly or indirectly, as a catalyzing agent in this regard. Jupiter’s collusion with Mercury-the lord of the 6th confirms the above trend. The 4th house represents the palatable resource one possesses and the 10th house defines its direction of utility. The 3rd house indicates the sources and efforts needed to create this resource. Here, the lord of the 4th is Moon while that of the 10th is Saturn which are 6/8 to each other. This clearly indicates that material upgradation alone will not bring contentment. He would have to seek other means to fulfill his inner satisfaction. Ketu in the constellation of Mars –the Lagnadhipathi who is situated in the 2nd aspecting the 5th comes to the rescue. Its conjointment with Saturn the lord of the 10th and 11th, clearly indicates that inert earning for attainment of transcendental powers and its fulfillment will be the source of contentment during this journey of life. Mars, Saturn and Jupiter will help him in attaining this. Here Sruthi is represented by Ketu and Smrithi by Saturn. The boy should therefore be guided towards the above ultimate aim so that he starts enjoying life far earlier than when the actual exposition comes. This would not only supplement his resources but would optimize his implementation progression in his material field. This would lead to better living for himself as well as for the environment surrounding him. This is Education. The boy is an electrical/ electronics engineer with MBA in finance looking for an alliance. The erstwhile Gurus used this methodology to optimize manpower and instill self-dedication and confidence within oneself. Unfortunately, the modern schools and teachers therein who are more dedicated to themselves than to optimize the student’s capabilities, guide them to the path of merely material output, thereby leading the oncoming generation easily susceptible to depression and hypertension, which Education is primarily meant to remove. More examples and analysis will follow.